Not everyone realizes it, but attending trade shows as an exhibitor is hugely important to a business’s marketing mix, whether they’re a multimillion-dollar corporation or a small business just trying to get their foot in the door. Why are trade shows important? 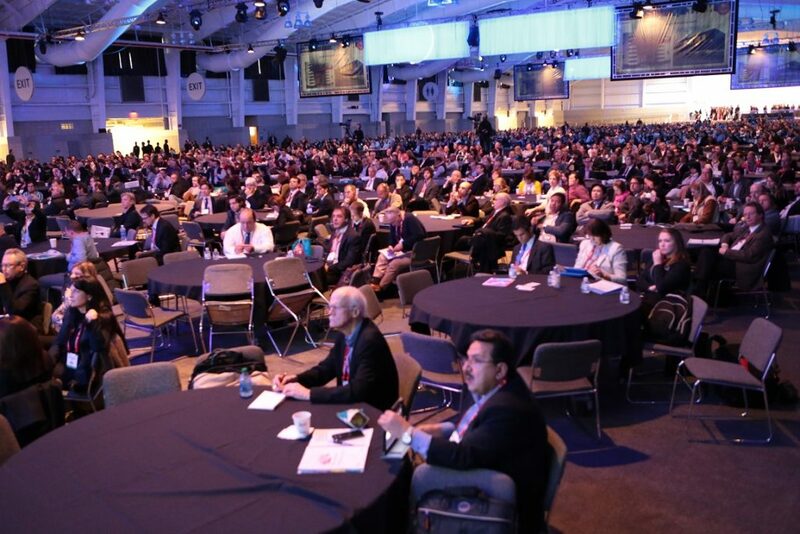 Well, for one, there was an average of 5,211 visitors at the largest conventions and exhibitions in the United States for the year of 2016, according to the Professional Convention Management Association (PCMA). This is up from 4,601 visitors in 2015. When it comes to specific industry trade shows, CES (Consumer Electronics Show) 2017 had a total attendance of 184,279 people, split between industry attendees, exhibitor personnel, and media. Attending shows that have a high amount of visitor attendance gives you a large pool of potential leads, especially as they relate to the other items on this list – leads are important for everything from research to networking, brand expansion, sales negotiations and, of course, just general end-user sales. 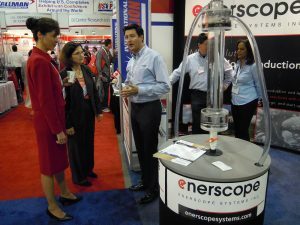 If your company is looking for trade shows to attend, one of the best places to start is to find a list of industry-specific trade shows, then find industries relevant to your business and drill down on them based on attendance. Attending a trade show is one of the best ways for businesses and organizations to stay ahead of their competition. Trade shows are often the place that companies use as a testing ground for new products, processes, ideas and strategies. Doing market surveillance on the competition allows a company to see what their competition might be launching or focusing on in the coming months or even over the next year. Performing market research also exposes companies to products and trends that they might not have knowledge of otherwise – whether they’re from competition or not. Trade shows and other similar conferences also give organizations and businesses a way to train their people. A trade show is a great place to assemble a learning environment – both for the benefit of the employees and as a way to educate customers – something I’ll touch on later. Many trade shows also offer learning environments and trainings of their own, put together by member organizations for the benefit of both the attendees and the other organizations present. This is a great way to keep informed as to what certifications and licenses are relevant in your industry, as well as to make sure that your employees have those certifications and licenses. A great example of this is The International Surface Event (TISE), which offers three different certifications, as well as bunch of different webinars and educational content. One of the biggest reasons why trade shows are important is that they give you and your employees the gift of time. If an attendee approaches your booth, you have about three seconds to capture their attention, but once you’ve done so, you have the unique opportunity educate them in a way that an ad or email blast just isn’t going to do. For one, your target audience is right in front of you. You can now introduce them to your product and show them your company’s unique value proposition – that is, what makes your company different and why the attendee should do business with you. For two, many people forget that, when it comes to trade shows, “education” is a two-way street. Even as you’re educating the attendee on your product and why it can solve or alleviate their business needs, they’re educating you on what those business needs are – valuable information that you can use to help shape how your company’s products progress in the future. When it comes to spending money on marketing, or having to justify your marketing budget to management, learning how to increase your ROI is everything. Unfortunately, many marketing tactics these days are still a gamble, and no one wants to waste money on something that isn’t going to earn money. In a sea of inconsistent platforms and cyclical campaigns, event marketing provides a little more reassurance to companies that they’ll get at least some of the return on investment that they so desperately need. There’s much less uncertainly when it comes to event marketing when compared to traditional marketing: when your company goes to a trade show that is geared toward their industry, they’re going to reach some segment of their target audience. Branded events and trade shows are important because they have a huge influence on consumers’ intent to purchase goods: according to a survey by Statista, 74 percent of responders said they were more likely to purchase products that had been promoted at a trade show. Businesses are always looking for ways to grow their brand and build brand awareness with their customers. This is one of the reasons why trade shows are important – they give companies a way to get their brand in front of new or existing customers, no matter whether they come to the show as an attendee or an exhibitor. One of the best ways to help trade show visitors connect with your brand is booth design: your booth setup will decide how customers view your booth – will they swarm in because they recognize your product easily and know who you are, or pass you by because they can’t connect the booth with the image of the brand they have in their head? Host a training session on one of your company’s products or processes. Sponsoring the organization that hosts the event or trade show. One of the other reasons why trade shows are important for businesses is that it gives them networking opportunities. Even if you get nothing else out of the show, you can spend time with others in your industry and share experiences and expertise. Trade shows help bring all the different aspects of an industry together – consumers, distributors, suppliers and manufacturers, all in one place. With such a broad audience together in one place, businesses are able to schedule meetings, negotiate orders and other opportunities and collaborate on other projects. Trade shows allow businesses to facilitate discussions with their suppliers and even with other businesses, as well as move projects to another level if the opportunity arises. When it comes to marketing, you’re always fighting against the competition. However, business-to-business (B2B) marketing narrows the field even further: at that level, it can be hard to even be part of the competition. Gate keepers exist in both the physical and virtual realms – from receptionists to email spam filters, there is a definite priority to block cold callers and advertisers from bothering the company’s decision makers. This is why trade shows are important: attending a trade show gives you an opportunity to get on a new customer’s radar as a product or company that they need to watch. Suddenly, you’re not spam anymore – you’re someone to watch and interact with. 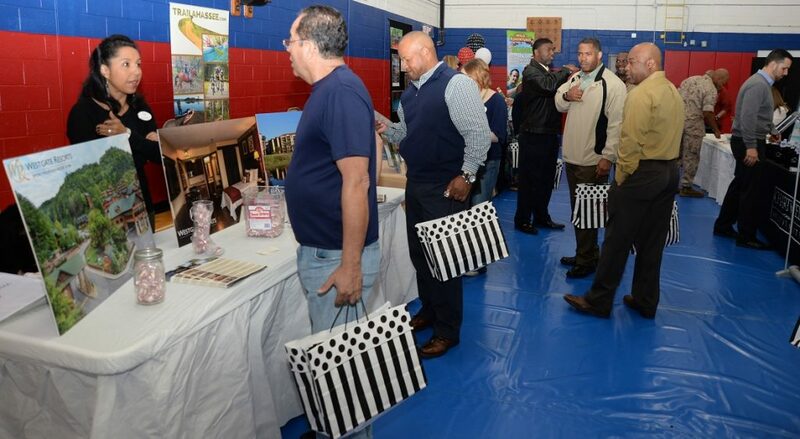 As I said before, trade shows are great for networking, and it’s much easier to make a connection with someone, whether they’re a fellow exhibitor or an attendee, at a trade show than it is anywhere else. Your customers can put a face to the name – they’re not just dealing with a voice on a phone anymore, but a real person. Trade shows are important because they offer you a platform to market to your customers and then sell your product to those exact same customers. Even though marketing is typically a way to direct the customer to your store or website, a good majority of the sales process can be done right there on the trade show floor. Since the funnel from first look to lead to eventual purchase is much shorter, the initial lead time is much shorter. However, these initial leads and sales will turn into more leads and more sales, meaning that you just need a couple successful sales to get the process going. So there you have it: ten reasons why a trade show appearance is an important part of a business’s marketing mix. Why are trade shows important to you? Feel free to tell us on Facebook, Twitter, or in the comments below! Which Trade Show Products Are Best for You?